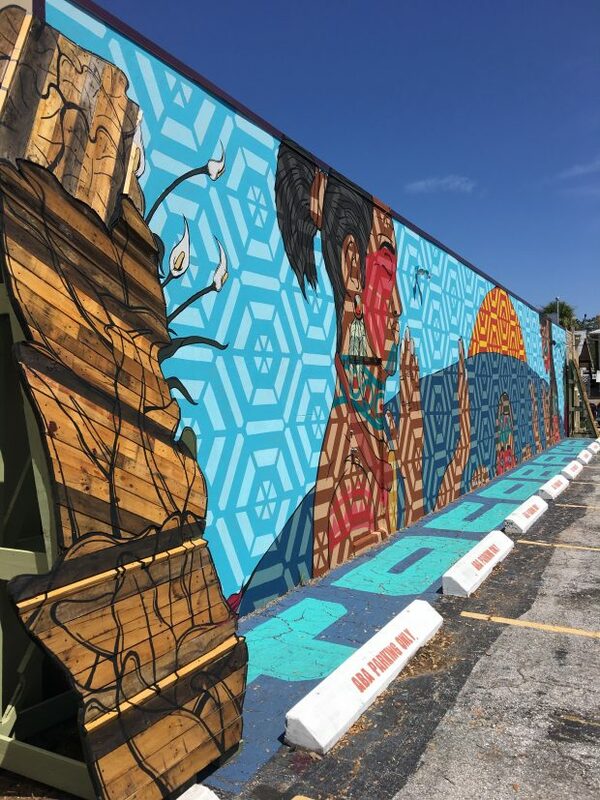 This mural was painted as a tribute to the first settlers of this area; the Tocobaga tribe, indigenous people of Tampa Bay area. 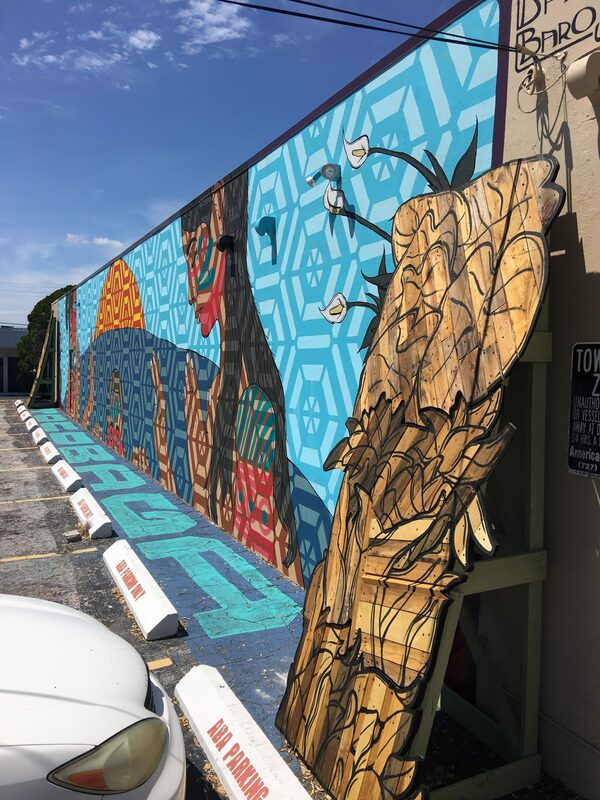 This mural is intended to give tribute to the Tocoabaga as well as all ancestors, reminding us of the importance of our elders and the roots of where we live in. A special blessing ceremony was given to the mural, to show gratitude and give reverence to the Tocoabaga, all ancestors and the 4 directions. Community Children also helped on one occasion, allowing them to take a bit of ownership in the work and project. 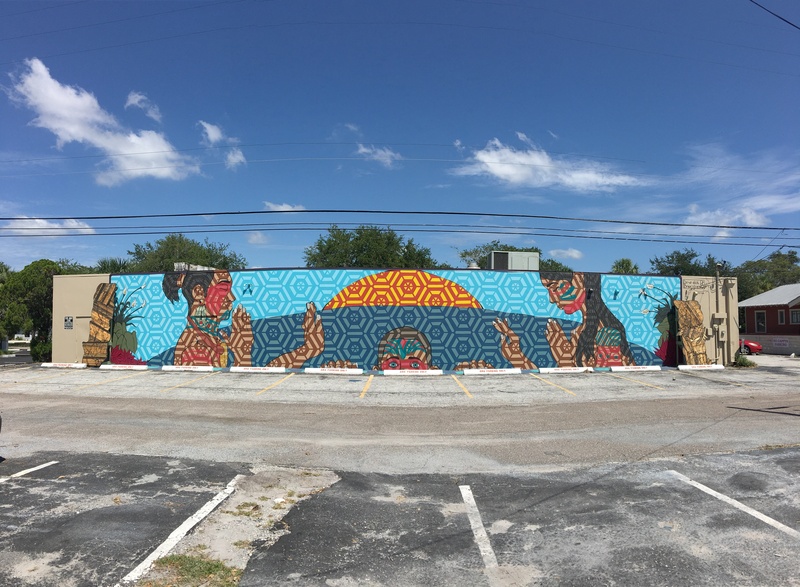 The mural became possible through an “Individual Artist Grant” provided by the St. Pete Arts Alliance. This entry was posted on Friday, December 8th, 2017 at 5:45 pm. It is filed under Installations & Murals, R5 FEATURED WORK. You can follow any responses to this entry through the RSS 2.0 feed.